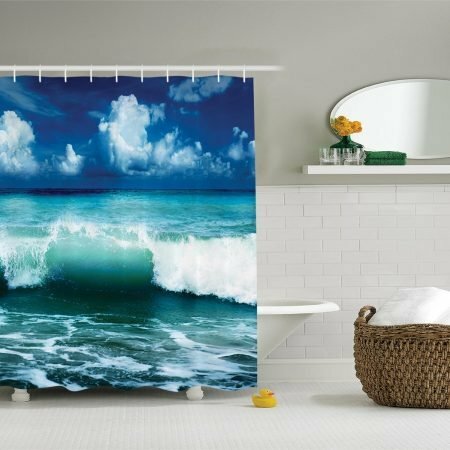 SUPERIOR QUALITY: The Avanti Beach Words Multi-Colored Fabric Shower Curtain sets a beach mood with its catchy nautical theme and ocean inspired visuals. Avanti’s decorative shower curtains are an elegant style choice that can enhance your bathroom decor without all the effort of a complete makeover. Made of sturdy, high quality fabric, this shower curtain will look brand new for years to come. THE COMPLETE PACKAGE: All shower curtains come as a set with variations of coordinating hand towels, bath towels, tissue holders, bath rugs, soap dishes, and other bath accessories to complete your bathroom make-over. Whether you’re looking for the perfectly coordinated bathroom, or like to mix and match colors, there are plenty of options that Avanti has to offer. Avanti Linens have been leading the way in bathroom accessories since 1969, with the highest quality and best designed products in the home decor market. 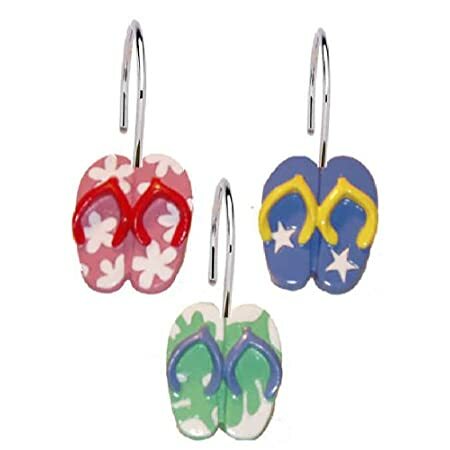 They also happen to be the world’s largest manufacturers of decorative bath towels and bath accessories! 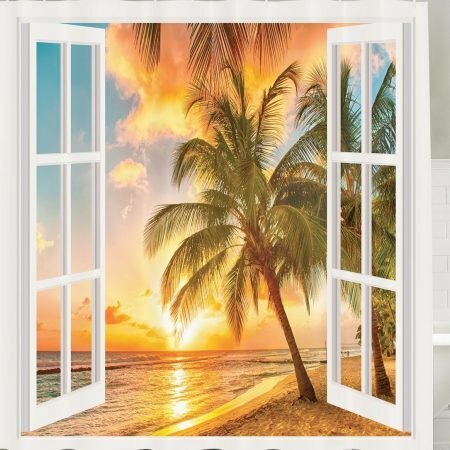 If the beach is calling you, yet you’ll be able to’t all the time be there, then the Avanti Beach Words Multi-Colored Fabric Nautical Shower Curtain will make you feel like you’re in the right spot. 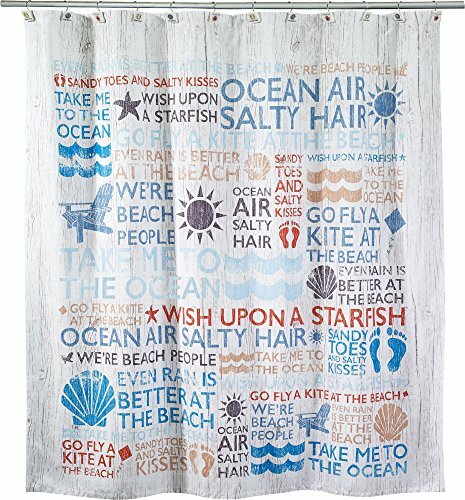 With sayings printed on this seashell shower curtain such as “we’re beach people” and “wish upon a starfish”, no one will wonder where your heart is. Shower curtains are multi-purpose, from capturing attention with their design to keeping your floors dry and safe from water streams. Whether you’re looking to revamp your entire bathroom, or just on the lookout for a new pop of color to add to your already set theme, there are multiple decorative options available. The 72″x72″ curtain can serve both practical and artistic purposes with its 100% cotton, machine washable material and bright colors. The sayings and icons printed on this curtain, paired with the iconic seashells and beach chairs will remind you of lazy days in the sun. 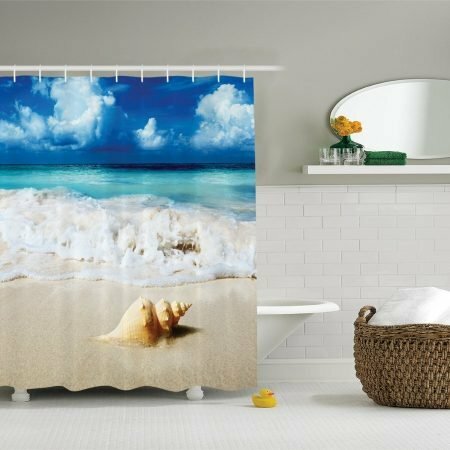 If you don’t have a beach travel planned yet, you soon will thanks to the phrases and nautical imagery of the Avanti seashell shower curtain. Avanti Linens knows that there’s more to bathroom decor than shower curtains alone. That’s why there are coordinating bathroom accessories like towel sets, bathroom rugs, soap dishes, and more. Purchase the entire set for a brand spanking new and seamless aesthetic, or add this piece separately for an interior design that is uniquely you. 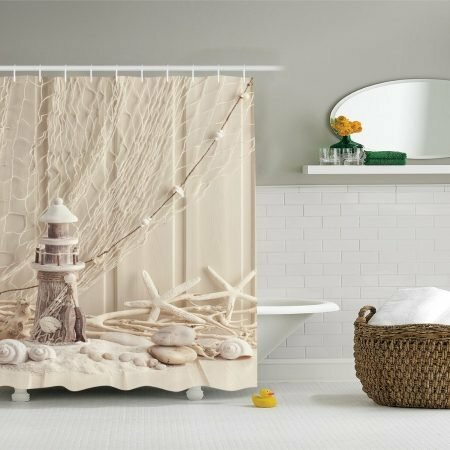 SUPERIOR QUALITY: The Avanti Beach Words Multi-Colored Fabric Shower Curtain sets a beach mood with its catchy nautical theme and ocean inspired visuals. Avanti’s decorative shower curtains are an elegant style choice that can strengthen your bathroom decor without all the effort of a complete makeover. Made of sturdy, top quality fabric, this shower curtain will look brand new for years yet to come. THE COMPLETE PACKAGE: All shower curtains come as a set with variations of coordinating hand towels, bath towels, tissue holders, bath rugs, soap dishes, and other bath accessories to complete your bathroom make-over. Whether you’re on the lookout for the perfectly coordinated bathroom, or like to mix and match colors, there are many options that Avanti has to offer. WATERPROOF: This creative, quality piece is as functional as it is stylish. 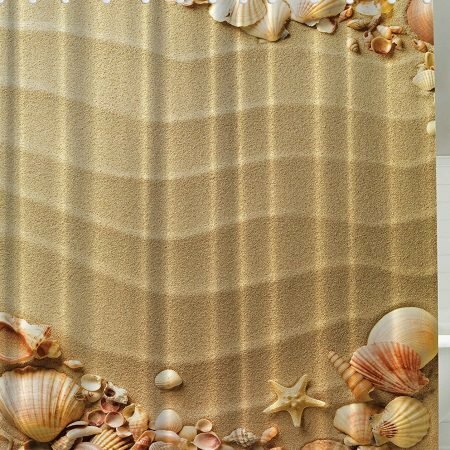 Made of water-repellent material, this shower curtain keeps water off your bathroom floor. Further, the fabric is mildew resistant and made to resist the moisture-heavy bathroom setting. RELIABLE AND EFFICIENT: The curtain’s easy to hang design makes taking it down and putting it up almost effortless. Its billow-free fabric hangs nicely in place and prevents water from escaping onto your bathroom floor. MACHINE WASHABLE: This shower curtain is machine washable. These easy to clean, washer safe materials come with basic instructions. Wash in cold water on delicate cycle with a mild detergent to preserve color and material. Then just let air dry! No need for bleach, but if you so desire, just make sure it’s non-chlorinated. Make sure to lay out the curtain in a hanging position to prevent molding.